Gamers can experience the entire LEGO Harry Potter adventure featuring content from seven books and eight films, with enhanced graphics, environments, lighting and visual effects, along with two downloadable content (DLC) packs. 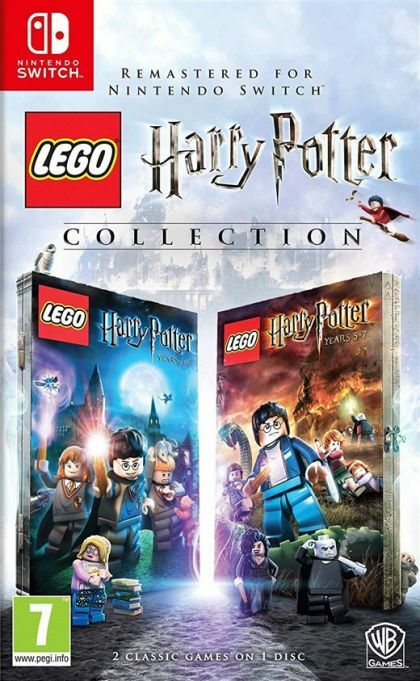 Sure to delight fans of J.K. Rowling's ever-expanding Wizarding World, the LEGO Harry Potter Collection serves as a perfect gift for those eagerly anticipating the upcoming film, Fantastic Beasts and Where to Find Them. Character Pack DLC included on disc featuring 10 characters-Godric Gryffindor, Harry (Yule Ball), Helga Hufflepuff, Lockhart (Straightjacket), Luna (Lion Head), Peeves, Hermione (Pink Dress), Ron Weasley (Ghoul), Rowena Ravenclaw and Salazar Slytherin. Spell Pack DLC included on disc featuring 5 spells-Cantis, Densaugeo, Ducklifors, Melofors and Tentaclifors.